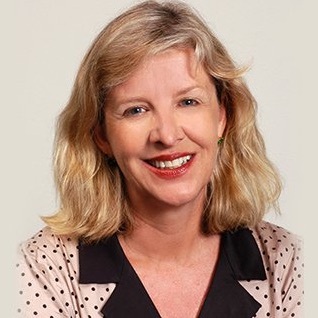 Prescription Overdoses - Drugs of Addiction - The Medico-Legal Society of NSW Inc.
Dr Ingrid van Beek AM is a public health and addiction medicine physician who has been working at the sharp end of harm reduction for the last 30 years. Ingrid was the Director of the Kirketon Road Centre in Kings Cross from 1989 until 2017. She was also the founding Medical Director of the Australia’s first Medically Supervised Injecting Centre from 2000 until 2008. Most recently Ingrid chaired the Expert Advisory Group for the soon to be opened Medically Supervised Injecting Room in Melbourne, Victoria. Ingrid was awarded a Doctor in Medicine in 2010 in recognition of her body of published scholarly work in the international field of Harm Reduction, and is a Conjoint Professor at UNSW Sydney’s Kirby Institute for Infection and Immunity. Her contribution to improving the health of socially marginalised populations was recognised in 2010 when she was awarded Membership of the Order of Australia. Mr Aleksandar Gavrilovic, Manager, Clinical Policy Unit, Alcohol and Other Drugs Branch, Centre for Population Health. Alex graduated from the University of Sydney in 1978 and practiced as a community pharmacist for over 20 years. In 2005, Alex joined the Pharmaceutical Regulatory Unit as a Senior Pharmaceutical Officer in the Inspections and Investigations Team. He has held the role of Principal Pharmaceutical Officer (Monitoring and Compliance Section) and acted in the Chief Pharmacist and Deputy Chief Pharmacist roles. Alex has investigated hundreds of cases for the Ministry of Health involving illegal or inappropriate supply, administration, prescribing and dispensing of medicines by health professionals, many progressing to prosecution at professional tribunals or local court. Previous Previous post: Complaints against doctors are on the rise! Why are patients complaining and what can you do.